The focus on Aung San Suu Kyi masks the complete lack of an adequate response to the crisis in Myanmar, whether at the global or regional level. Aung San Suu Kyi’s recent speech on the Rohingya crisis was – at best – light on details on how the current situation could be remedied and – at worst – full of easily disproven assertions. While she does not directly control the military, it is her government that is blocking humanitarian access to the areas affected by the violence. And the Rohingya have faced systemic persecution and discrimination for decades.Some may argue this is simply realpolitik and that any public support for the Rohingya could mean facing a backlash from the military and a large part of her support base. But arguably, she does have moral authority (which helped her in the past to stand up to the military generals) that is now being eroded by her ambivalence in speaking out. However, the focus on Aung San Suu Kyi masks the complete lack of an adequate response to the crisis – whether at the global or regional level. 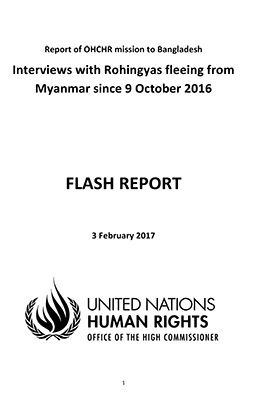 Since the attacks on border and military posts by the armed group Arakan Rohingya Salvation Army (ARSA) in August 2017, there has been a strong military crackdown against the Rohingya in Rakhine state: a substantial number of Rohingya villages destroyed; close to half a million people Rohingya fleeing into Bangladesh and tens of thousands internally displaced within Myanmar. Prince bin Ra’ad , UN High Commissioner for Human Rights, has called the crisis a “textbook example of ethnic cleansing” and tens of thousands of Rohingya are still undertaking dangerous and perilous journeys seeking sanctuary. In response, the UN and EU have focused on addressing the immediate humanitarian crisis in Bangladesh, which is already home to many formerly displaced Rohingya communities. Within the region, Sheikh Hasina’s secular Awami League government in Bangladesh initially proposed joint military operations with Myanmar against the ARSA – in part because of concerns about the long standing relationship between Rohingya political or armed groups and the Jamaat-e-Islami, an ally of the main opposition Bangladesh Nationalist Party (BNP). However, faced with massive refugee flows, Bangladesh turned its focus to the humanitarian crisis while stressing that Myanmar must allow the return of refugees. Bangladesh’s concern is partly motivated by internal security concerns. If the current situation becomes protracted, with no clear resolution in sight, frustration could create the conditions for further radicalisation within Rohingya communities. The Association of South East Asian Nations (ASEAN) has yet to come to grips with the situation. Despite its mandate to ensure peace and stability within the region, its policy of non-interference and consensus trumps the need to secure and maintain stability. Instead countries have responded bilaterally – for example, Indonesia sent its foreign minister to both Myanmar and Bangladesh while Malaysia has been consistently vocal about its concerns. So this raises broader questions on the effectiveness of ASEAN. 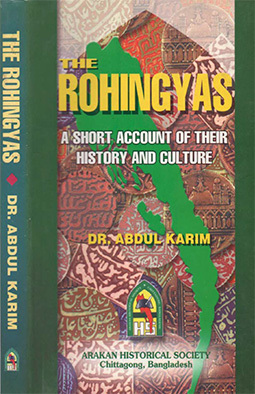 Currently celebrating its 50th anniversary, ASEAN needs to decide how to mediate and resolve issues with regional implications as its principle of non-intervention effectively blocks any constructive discussion on the Rohingyas ongoing statelessness and impact of this on the region. However, there is also an opportunity here for ASEAN to consider how mediation and negotiation could potentially manage such crises. And there is a historical precedent: the 1989 Comprehensive Plan of Action on Indo-Chinese refugees saw cooperation between recipient countries in the region and the international community on how to resettle Vietnamese refugees (although Cold War considerations did play a part in that specific crisis). India and China have both backed Myanmar, reflecting their economic and security interests in the country but also motivated by each wanting to contain the influence of the other within Myanmar. Rakhine is important with its natural resources and coastal location and, as China is not directly affected by the refugee crisis, it has less to lose than others in standing by Aung San Suu Kyi and her government. India is nearing completion of the Kaladan Multi-modal Transit Transport Project, connecting the Bay of Bengal with the northeast Indian state of Mizoram, and sees Myanmar as an important market for its regional ambitions. For parts of the Indian administration, the crisis plays to a domestic narrative that some of the Rohingya already settled in Jammu and Kashmir have links to armed groups in Pakistan and are an internal security concern. So while India is providing humanitarian aid to Bangladesh, it is also threatening to deport almost 40,000 Rohingya. The case is currently being heard at the Indian Supreme Court, but given that the Rohingya lack citizenship in Myanmar, it is not clear to where they would be deported. Myanmar, ASEAN and other affected countries need to show political will to find a solution to the Rohingya’s long-standing issue of statelessness – discrimination was legally formalised in a 1982 Burma Citizenship Law, which recognised 135 ethnicities for citizenship but excluded the Rohingya. 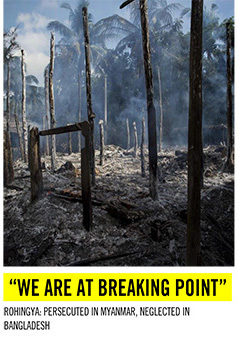 The root causes of this crisis – long standing discrimination, persecution and lack of citizenship – cannot be ignored. There is a need for a comprehensive peace process, which recognises the ethnic and religious diversity within Myanmar.